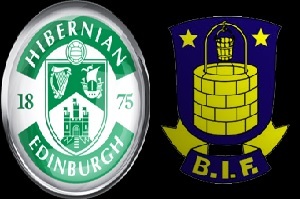 Hibernian will play against Brondby in Europa League - qualification on Thursday. Hibernian does not have an easy draw ahead of them in the second qualifying round of UEFA. They have skipped the first round of this tournament after winning the Scottish cup against Rangers. Brondby is on fire. They have hammered Valur with 10-1 in the first round. Brondby is in Denmark Superliga and have a lot more experience than their opponent. Hibs are not even in Scottish Premiership. Last time they played in Europe, Malmo destroyed them with 9-0 in 2 legs. I don't see anything else, but Brondby win here at very reasonable odds.